Urajnik, D., Levin, E. and Garg, R. (2008). Child development. In Y. Zhang, Encyclopedia of global health. [Online]. Thousand Oaks: Sage Publications. Available from: https://search.credoreference.com/content/topic/child_development [Accessed 25 April 2019]. Urajnik, Diana, et al. "Child Development." Encyclopedia of Global Health, Yawei Zhang, Sage Publications, 1st edition, 2008. Credo Reference, https://search.credoreference.com/content/topic/child_development. Accessed 25 Apr. 2019. Child development describes the physical, cognitive, emotional, and social growth of the child from birth to adolescence (some definitions include the prenatal period). The field of child development is part of a larger discipline known as developmental psychology (or human development in its interdisciplinary form), which is concerned with identifying and understanding systematic changes in the individual across the lifespan. Interest in child development stems from many disciplines—biology, psychology, sociology, education, medicine, and so forth. However, psychologists have played a predominant role in research and applied work in the area of child development. Development is best described as a continual, cumulative, and holistic process. Changes in one aspect of development (e.g., language) have important implications for other aspects. While the average features of development proceed through a relatively regular, sequential process of change (normative development), there are individual variations (idiographic development). An important process underlying developmental change is maturation (sometimes called predetermined development). Maturation refers to the biological unfolding of an individual according to the hereditary information passed from parents to child at the moment of conception (fusion of gametes). Growth is guided by an inherent process, or an inborn maturational blueprint. This process helps explain how all children follow the same sequence of changes during development (biological program). In this manner, the discontinuous or stage theory of development is attributed in many respects to our biology. Stage theorists accept that development takes place through a series of unique steps, each characterized by qualitative changes in physical attributes, thought, emotions, and behavior. For example, a certain degree of physical maturation is necessary in order for a child to sit up and then walk. Further development is predicated upon already-existing achievements. A second developmental process is learning. Learning refers to changes in cognition, feelings, and behaviors as a result of a child’s experiences. Children develop within context: While a certain level of physical maturation is required in order for a child to read (e.g., brain development), experience (e.g., reading instruction, practice) will promote the ability to read. In other words, developmental changes occur due to environment. Unique historical/cultural contexts (from the familial to a broader level) transmit patterns of beliefs, customs, values, and skills through socialization. Abilities are just as dependent on modeling, practice, and the motivation to engage in particular behaviors as physiological maturation. Indeed, the concept of developmental readiness depends upon a combination of heredity and experience. Experience may facilitate development when the necessary maturation has occurred. There is a long-standing debate about the relative influence of heredity (nature) or environment (nurture) on development. Early theorists (e.g., Arnold Gesell, 1880–1961) emphasized genetics as the determining factor. There has been little disagreement over the predominant role of genetics in the determination of individual differences in physiology. However, there has been less certainty regarding the influence of heredity on cognitive and social behavior. In general, theorists who believe developmental attributes are resistant to modification (plasticity or capacity to change) emphasize the importance of genetics. Those who regard environment as important emphasize early learning experiences as affecting development through to adulthood. Contemporary theorists generally accept that unique combinations of nature and nurture affect development, but there is still contention over which contributes most to particular developmental changes. The first two years of life are marked by rapid physical growth and maturation. Infants make remarkable progress with controlling their movements and the mastery of motor skills. All of the senses (e.g., smell, touch) are operative at birth, and a number of primitive reflexes are predominant for the first three to four months of life. One such reflex is sucking behavior. Locomotor (e.g., crawling, walking) and early manipulatory skills (e.g., reaching, grasping) evolve in a definite sequence (termed milestones). For example, infants, on average, roll over and display visually guided grasping movements at about 3 months of age, sit alone at 5 months, and walk at 1 year of age. The similarities between physical and motor development tend to suggest the role of genetics in motor progress. However, despite a similar pattern, there are individual differences in the rate at which different children progress through the milestones. Motor development does not simply unfold as maturation proceeds; it is an action system wherein existing capabilities are combined into more complex behaviors—guided by exploration and practice (called dynamic systems theory of motor development). Environmental experience generates curiosity and goal-oriented behavior, which impact the emergence of motor skills. Likewise, developing motor skills affect other aspects of development. For example, exploration may guide perceptual development through object searching. Development unfolds during early and middle-childhood (2–12 years) in much the same way as in the first two years of life. Sensory discrimination, such as accuracy of color matching, depth perception, and auditory capability, improve. Increases in body size, muscle strength, and agility support more complex locomotor skills, such as running, jumping, and throwing a ball. At the same time, eye–hand coordination and fine motor skills are developing. Children proceed through a series of developmental milestones where previously acquired skills are integrated into more complex systems. Skills are refined as children develop and are faced with new experiences. In the concrete operational phase (7–11 years) of cognitive development, reasoning becomes more logical and organized as children apply new information to skills. After age 11, cognition finally becomes the abstract and logical thinking of an adult. Cognitive development, including concept formation, problem solving, and reasoning, refers to the process through which children acquire and use knowledge. Jean Piaget’s (1896–1980) cognitive-developmental theory has been one of the most influential explanations of how intellectual skills develop. In contrast to the early neo-behaviorist viewpoint (e.g., where learning occurs through reinforcement of behavior), Piaget proposed that children actively create knowledge as they interact with their world. This is described as the constructivist approach to cognitive development. Cognitive structures develop through assimilation (interpreting new experiences in terms of existing models of the world) and accommodation (modifying information to meet new situations). Development is characterized by the continual organization (e.g., rearrangement) of the cognitive structures to produce a more elaborate cognitive system. Piaget divided cognitive development into four stages that are characterized by qualitatively different skills. In the sensorimotor stage (birth–2 years), the infant coordinates sensory information and motor movements to explore the world. A hallmark of this stage is the development of object permanence, or the idea that an object continues to exist, even while out of sight. The preoperational stage (2–7 years), is characterized by symbolic, yet illogic, thought. Make-believe play and the development of language take place during this stage. Symbols and language are increasingly used to represent the child’s world. In the concrete operational phase (7–11 years), reasoning becomes more logical and organized. Children are applying new information to skills. In the final stage of formal operations (11 years–adult), cognition becomes the abstract and logical thinking of the adult. Although Piaget made a lasting contribution to our understanding of cognitive development, his work has been challenged. Recent work has led to several refinements of his theory. Current theories do not place as much emphasis on the stage-like processes of cognitive development as Piaget did (e.g., information processing perspective). Children are continually refining and acquiring new cognitive skills; few abilities are present in one distinct stage and not another. Other theoretical perspectives emphasize the influence of the social world on cognitive development (e.g., sociocultural theory). A child’s development is a socially mediated process, and is affected by interactions with others within a unique cultural context. Children actively construct knowledge (self-generation of cognitive ability), but also develop within the complex, multilayered system of their environment (ecological-systems theory). Language development illustrates the combined influence of inherent ability and experience. Infants are capable of vocalizing at birth. Babies coo (vowel-like noises) and babble (consonant-vowel-like combinations) in the first few months of life. This is called prelinguistic vocalization. Infants are quite receptive and responsive to language at this time. They are sensitive to the sound of voices and their native tongue, and respond through gestures and other nonverbal cues (e.g., facial expressions). The complexity of communication changes from vocalizations to one-word utterances to combinations of words into simple sentences by the time a child is 2 years of age. Early words are linked to specific cognitive achievements. For example, the development of object permanence corresponds to disappearance terms, such as “all gone.” Children can also connect a new word with its underlying concept after only a brief encounter (fast mapping). Child–caregiver interaction is a powerful influence; verbal prompts, imitation, and expansion on a child’s language promote further language development. In the preschool years (2½–5 years of age), children come to produce relatively complex sentences. With this complexity comes the ability to conform to rules of language. Inflections are used, like singular and plural for nouns, and tense for verbs. Children become capable of asking questions and of connecting sentences/embedding one sentence within another. They can express relational contrasts (e.g., big/little), and adapt language to social expectations. Conversational skills are acquired that enable the child to communicate more effectively with others. By middle childhood, children become better listeners and manipulate language through more complex grammatical structures. The development of comprehension is marked by meta-linguistic awareness (the ability to think about language) and make inferences regarding the meaning of sentences. As children move from childhood to adolescence, they become more effective at communication through linguistic refinement and social experience. Social and emotional development begin early in life. Interest, fear, disgust, joy, sadness, and anger emerge during the first year. More complex emotions, such as embarrassment and pride, are displayed in the second or third year as children develop self-recognition. These emotions are sometimes called self-conscious emotions as they either enhance or injure our sense of self. Emotional expression (e.g., happiness, crying) powerfully affects the behavior of others. Parents attend to their infants’ unpleasant feelings and become less responsive to negative behavior. 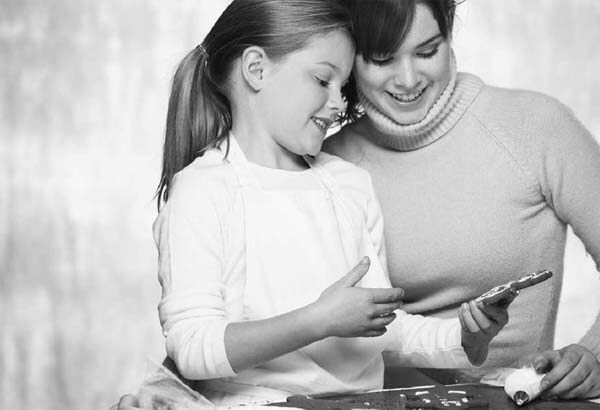 In this way, an elaborate communication system develops between caregiver and child. The child’s emotions are adaptive in that they assist caregivers with meeting the infants’ needs and goals. At the same time, the ability to recognize and interpret others’ emotions serves an important social referencing function (use of another’s emotions to interpret an unfamiliar situation). Patterns of emotional and verbal responsiveness between a mother and her child lead to what is called attachment (emotional/affectionate bond). Young children learn to judge/interpret others’ emotions and gain emotional understanding through their developing cognitive skills and early socialization with caregivers, especially mothers. They begin to use language to assist with the self-regulation of emotion and can verbalize a variety of emotional self-regulation strategies around 2 to 3 years of age. With greater cognitive ability, school-age children can understand the needs and expectations of others, and their ability to live up to these expectations affects their self-concept. At the same time, an increase in empathy enables children to better understand the feelings of others. They test their self-concepts by making comparisons with peers and they develop the ability to imagine how others evaluate them. This allows them to anticipate evaluations, correct their behavior, evaluate the action, and react to it emotionally. Children have also developed more ways to deal with emotionally arousing situations through the increasing development of emotional self-regulation. Two theories have been particularly influential in the area of thought and research on social development. Historically, the psychoanalytic perspective (Sigmund Freud, 1856–1939) describes children as moving through stages in which they encounter conflict between biological drives and social expectations. The manner in which conflict is resolved determines how children learn and socialize with others. The progression of children through the stages is the basis for personality in later life. On the other hand, social learning theory (e.g., Albert Bandura, 1925–) emphasizes modeling (imitation or observational learning) as the major source of social development. Currently, this perspective places great emphasis on the role of cognitive processes in social development. It also emphasizes social learning as reciprocal determinism. Reciprocal determinism is the complex interactions that occur between an “active person,” the person’s behavior, and their environment. Adolescent Development; Genetic Code; Infant and Toddler Development; Physiology; Psychologist; Psychology. Jacqueline Barnes, Children and Families in Communities: Theory, Research, Policy, and Practice (Wiley, 2006). Laura E. Berk, Child Development, 7th ed. (Pearson Education, 2007). Gavin Bremner, Theories of Infant Development (Blackwell, 2004). Catherine R. Cooper, Developmental Pathways through Middle Childhood: Rethinking Contexts and Diversity as Resources (Lawrence Erlbaum, 2005). Andreas Demetriou, The Development of Mental Processing: Efficiency, Working Memory, and Thinking (Blackwell, 2002). Jeffrey M. Jenson, Social Policy for Children and Families: A Risk and Resilience Perspective (SAGE, 2006). Robert V. Kail, Children and Their Development, 4th ed. (Pearson Education, 2007). Yuriy V. Karpov, The Neo-Vygotskian Approach to Child Development (Cambridge University Press, 2005). Heidi Keller, Between Culture and Biology: Perspectives on Ontogenetic Development (Cambridge University Press, 2002). Jacqueline Nadel, Emotional Development: Recent Research Advances (Oxford University Press, 2005). Catherine Raeff, Social and Cognitive Development in the Context of Individual, Social, and Cultural Processes (Routledge, 2003). Neil J. Salkind, Child Development, 4th ed. (Macmillan, 2002). David R. Shaffer, Developmental Psychology: Childhood and Adolescence, 6th ed. (Brooks/Cole, 2001). Human development occurs in a cultural context. Obvious as this statement may be, its realization in developmental science is far from adequate.